Save time, and work with confidence, with TechScan. It’s the next generation of pinless moisture meters ideal for flooring installers. The right diagnostic tools are a must when addressing water damage, testing sub and top floors to ensure similar % moisture content. 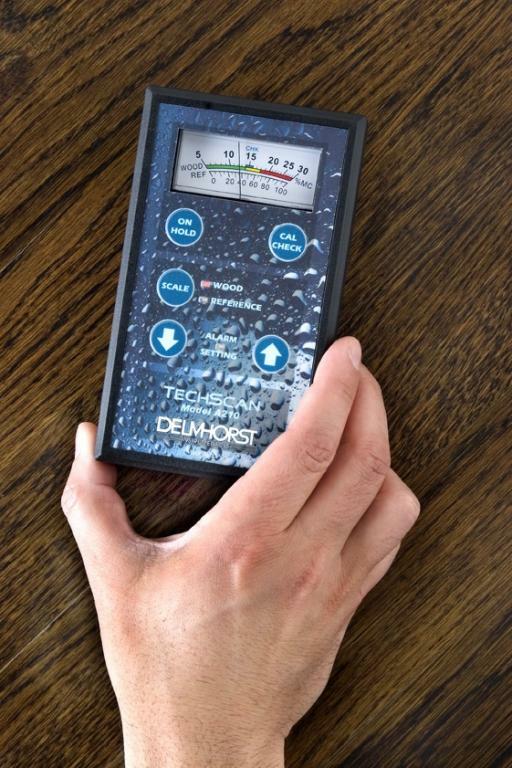 TechScan pinless moisture meter makes it easy to find moisture “hot spots” and narrow down areas affected by moisture. Use it as a stand-alone tool or with our pin-type moisture meter for further precise diagnosis. The fast, accurate, and non-destructive TechScan is also recommended for restoration and building inspection for checking moisture besides floors in walls and ceilings.